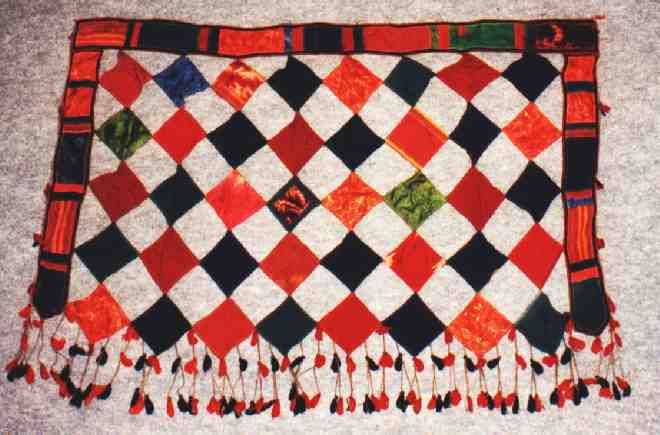 Embroidery is a most common way of decoration. It is very convenient for the nomadic way of living because it is easy to transport and you can continue with it wherever and whenever you want. 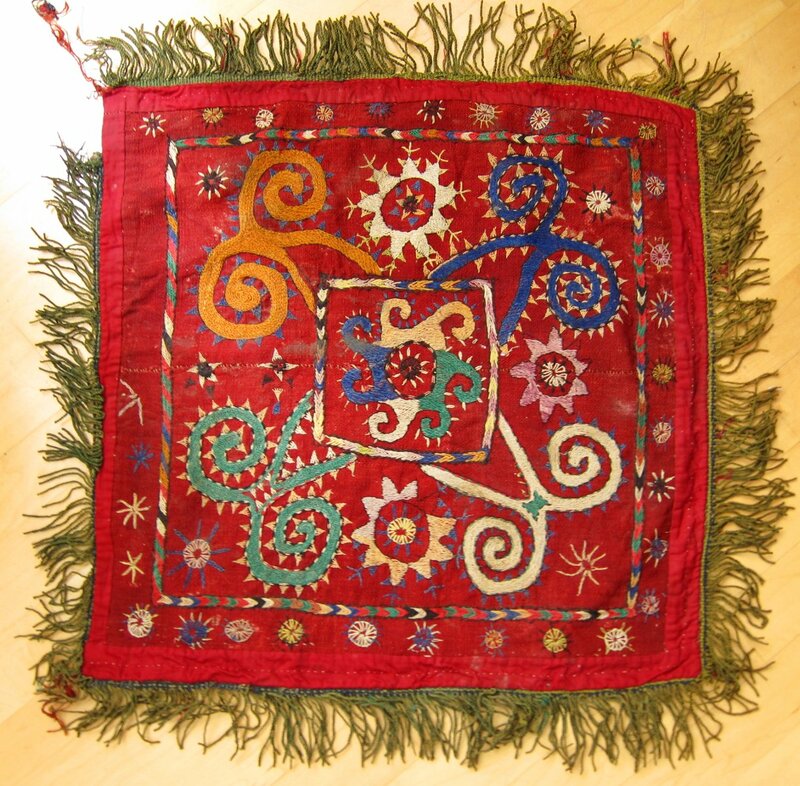 Embroidery can be applied to almost any piece of cloth, so we want to show you a wide variation of this. 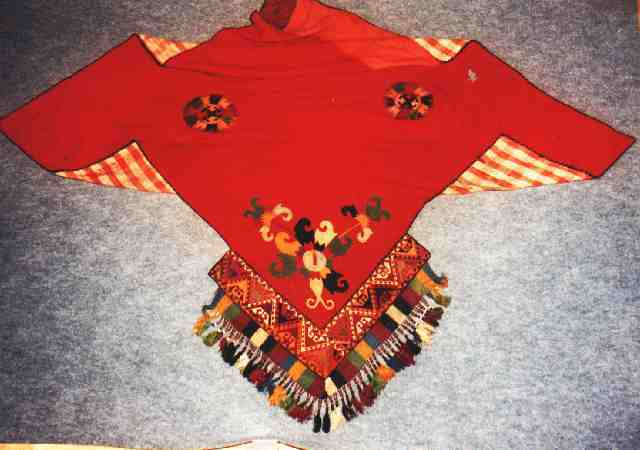 There is a small bag, a cloth to wrap a part of the women's belongings, a saddle-cloth, an embroidered napramatsch (for information look up the napramatsch section) and a decorative band. The other three things presented here are of mixed techniques. 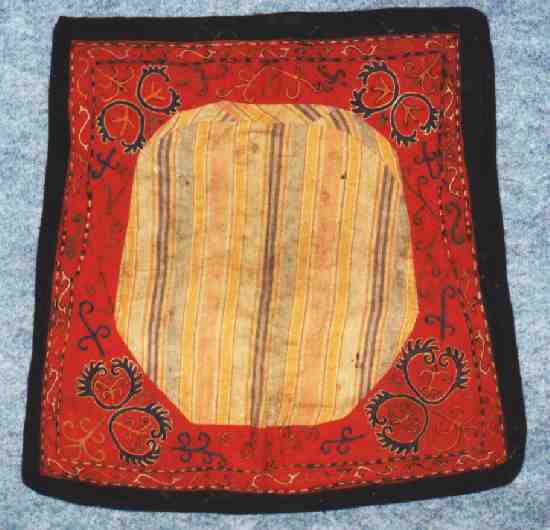 We own a number of the kind patchworks, of which we only show one. 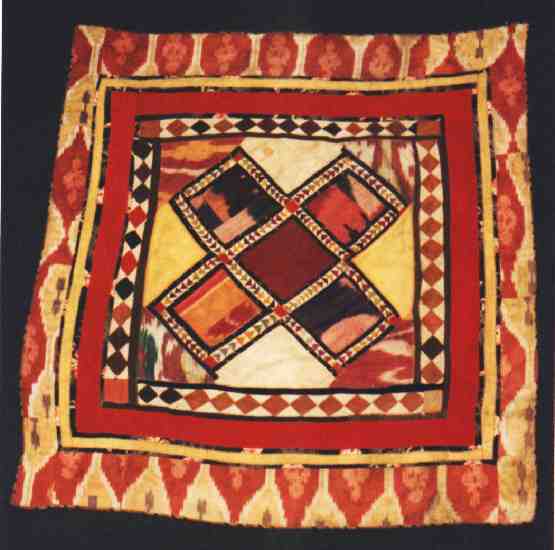 The decoration for a camel's flank is sewn together from very different pieces of cloth. 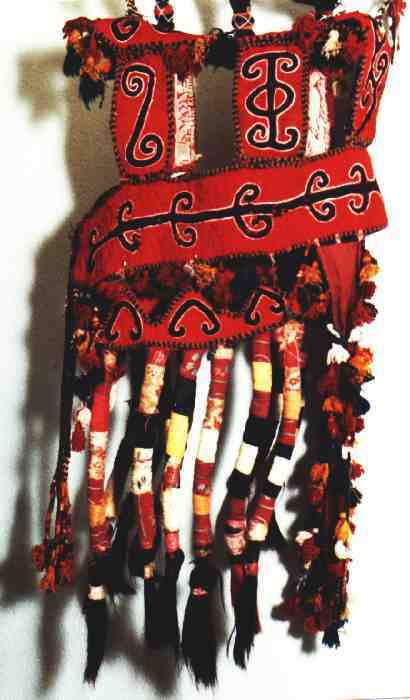 The camel's head dress is made of felt with embroidery and applications on it.